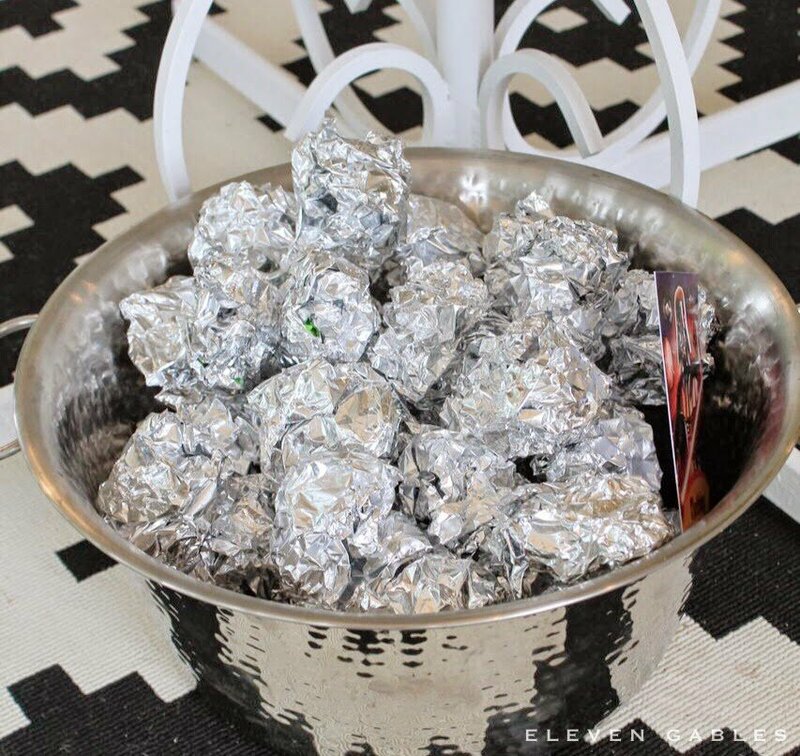 You can’t plan an amazing Star Wars party without a few Star Wars party games! This is the ultimate collection of Star Wars games including ones inspired by all the classic Star Wars movies and ones inspired by the newest additions! There’s something for everyone no matter if you love Yoda, BB-8, or Princess Leia! If you’re a Star Wars fan at all, this probably isn’t news, but still exciting! 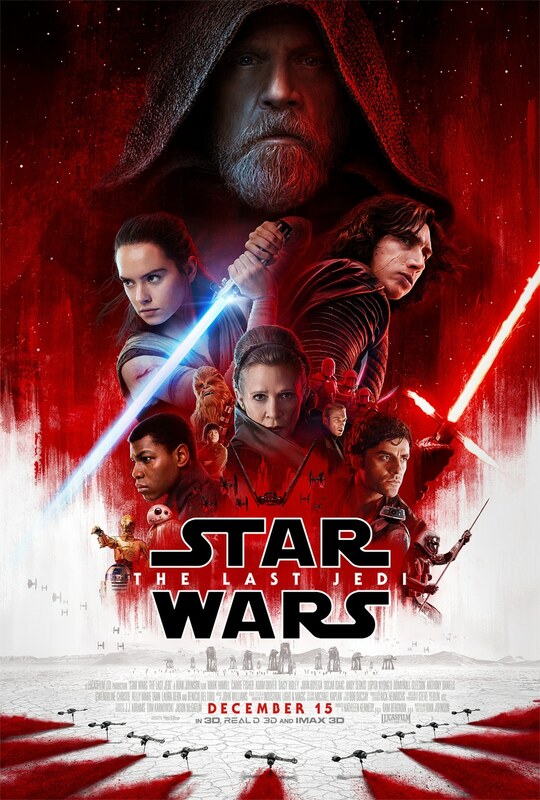 Last week the brand new Last Jedi trailer dropped and tickets for The Last Jedi (opening in the US December 15th) went on sale! I was at Disneyland when it happened with some huge Star Wars fans and let me tell you, tickets for the opening showing were sold out before we’d gone on three rides. It was that fast, so get your tickets right now! It’s going to be SO good! And I have a confession to make – I didn’t buy tickets for opening night, but I have a good reason! We are actually headed to Mickey’s Very Merry Christmas party on opening night and then on a Disney Cruise the next day. They’re going to be showing it on the cruise in the main theaters, so we’re just going to wait for then. It’ll be painful but seeing it on a Disney Cruise will be pretty much amazing! Star Wars one night, the brand new Beauty and the Beast production the next, yeah – I’m a little excited. My son’s already decided he’s going to be Kylo Ren for Halloween this year, and we did Jedi Training at his Disney birthday party in April. I’m pretty sure a full blown Star Wars party is next, so I’m getting ahead of the game (ha) and put together a collection of the best Star Wars party games I could find! 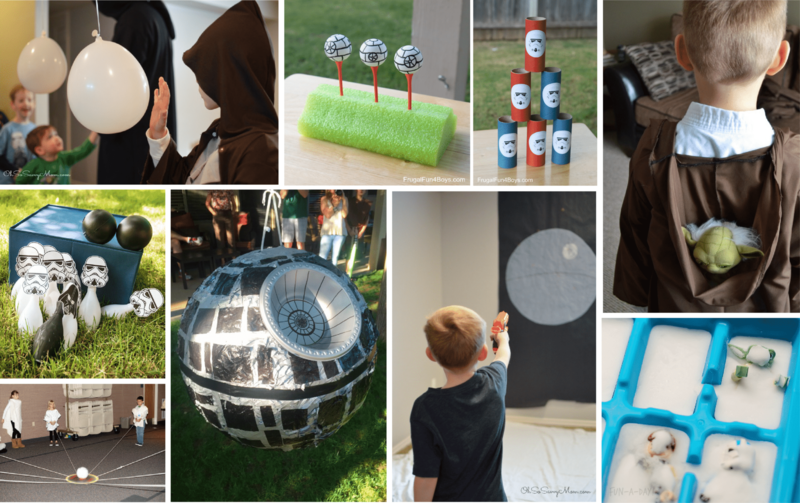 Some of these are so creative and some of them are just cute, but they’re the best of the best and perfect for any kids Star Wars party. Or adults Star Wars themed party, no judgement here. These are the games that will have kids burning off energy, running around, and being a little crazy. You probably don’t want to do all active games but pick a few and go for it! 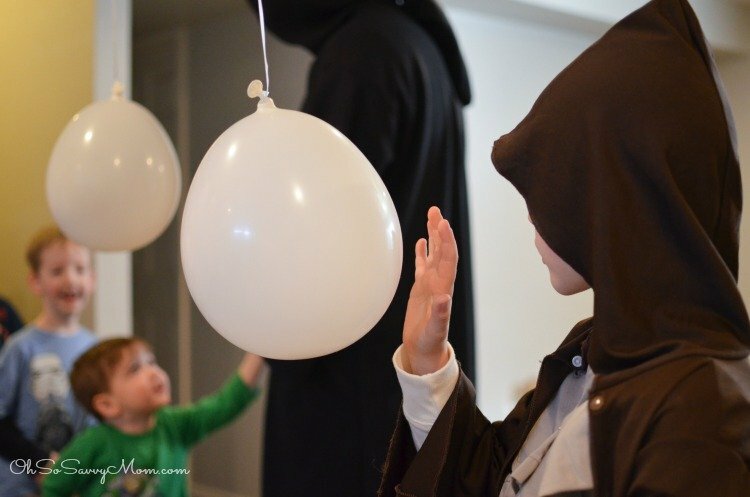 The Force – Using just balloons and a little static, kids can practice using the force. Find out how here. 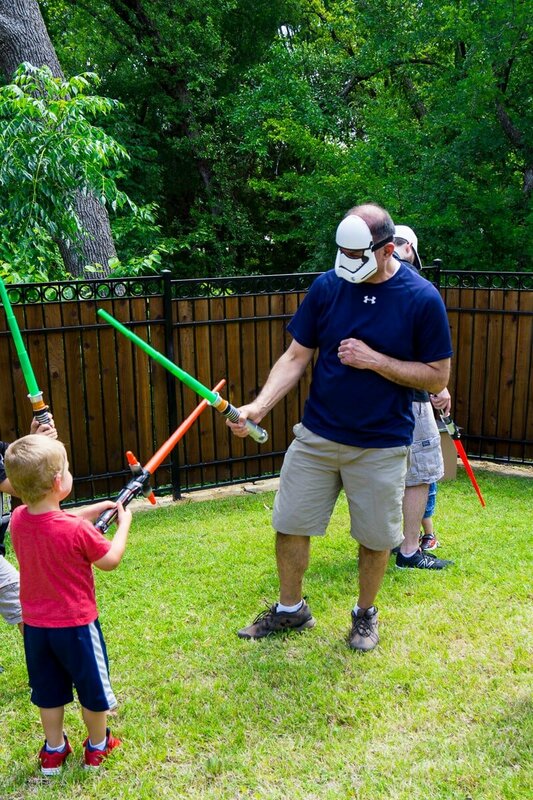 Star Wars Piñatas – Use a light saber to bust open a candy filled Star Wars piñata. 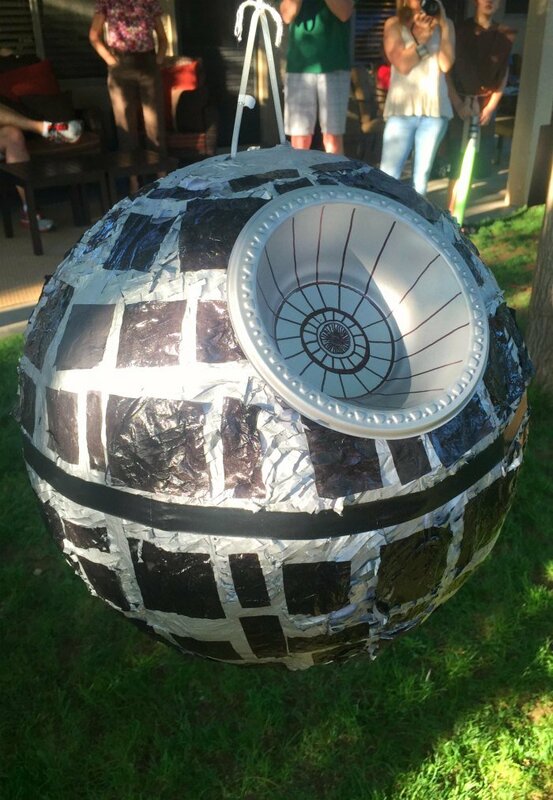 You can either DIY your own death star (using these instructions) or BB-8 pinata (instructions here) or go the quick route and just buy one of these instead! If you’re going to buy one, this might be the cutest Star Wars piñata in the entire galaxy. Even better if you fill the piñata with Star Wars candies! 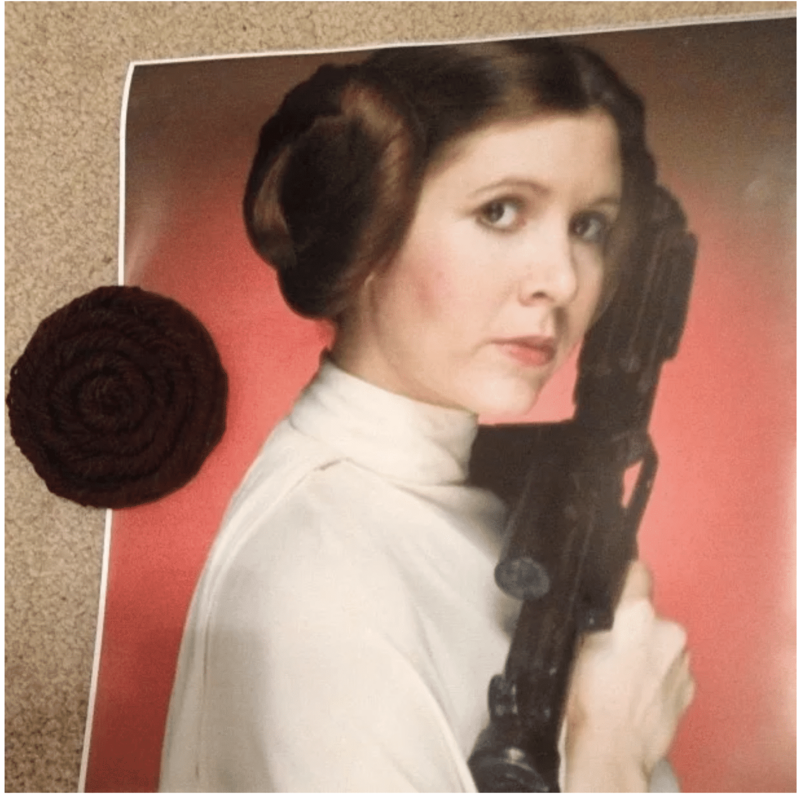 Pin the Bun on Leia – Forget pin the nose on the donkey and try to pin the bun on Princess Leia instead. Full instructions here. Storm Trooper Target Practice – Let kids practice shooting Storm Troopers with Nerf guns. Full instructions and Storm Trooper faces here. 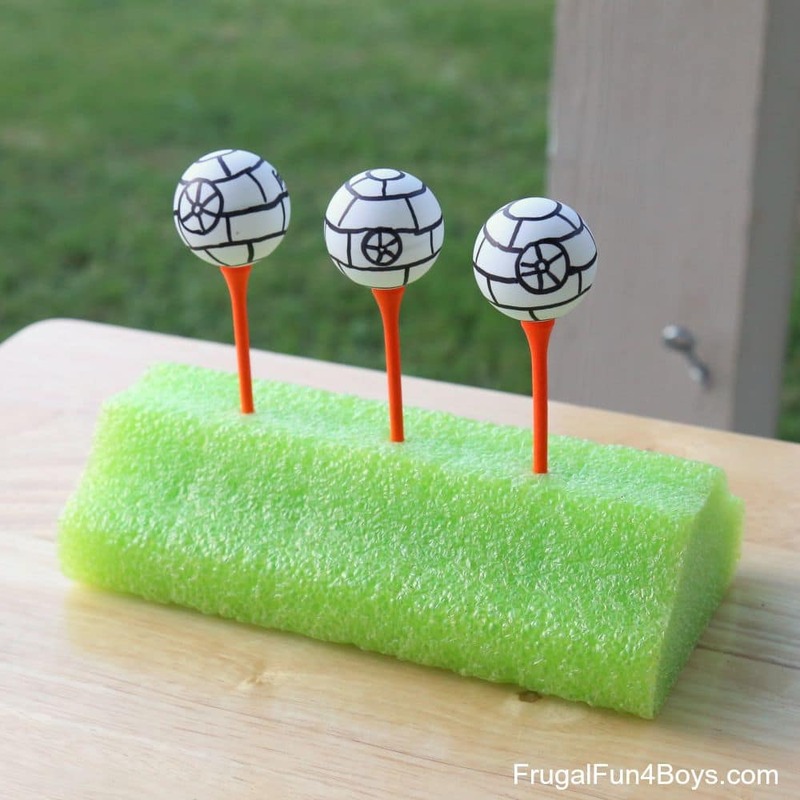 Death Star Shoot Out – Decorate ping pong balls like Death Stars and have kids try their best to shoot them down! Full DIY instructions and details on the game here. 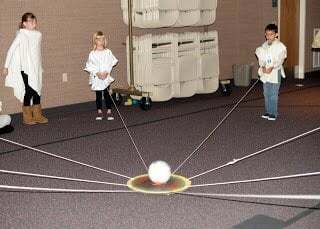 Atomic Ball Carry – Kids have to work together to carry an Atomic Ball across the room without dropping it. All the details and four more fun games here. Jedi Training – A three part game where kids can have to first find crystals, use those crystals to get matched to light sabers, and defeat the dark side. Instructions here. 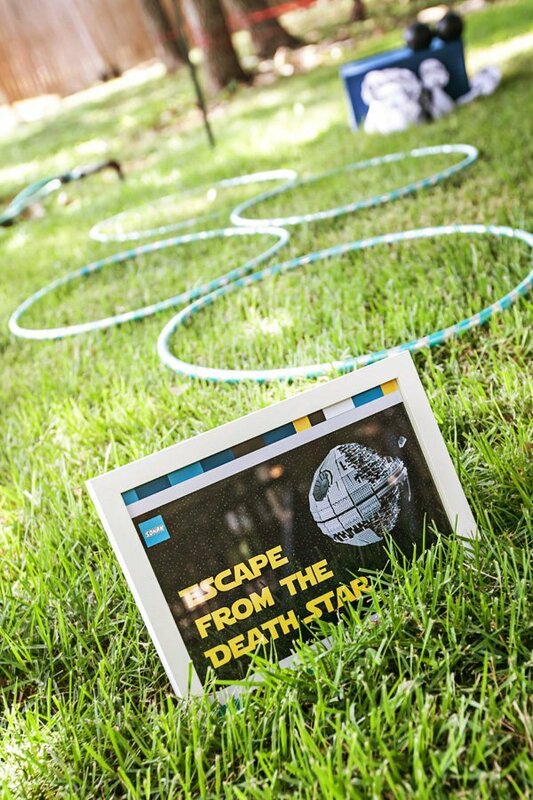 Escape the Death Star – Kids must go through a series of obstacles to escape the death star before it explodes! Full details here. 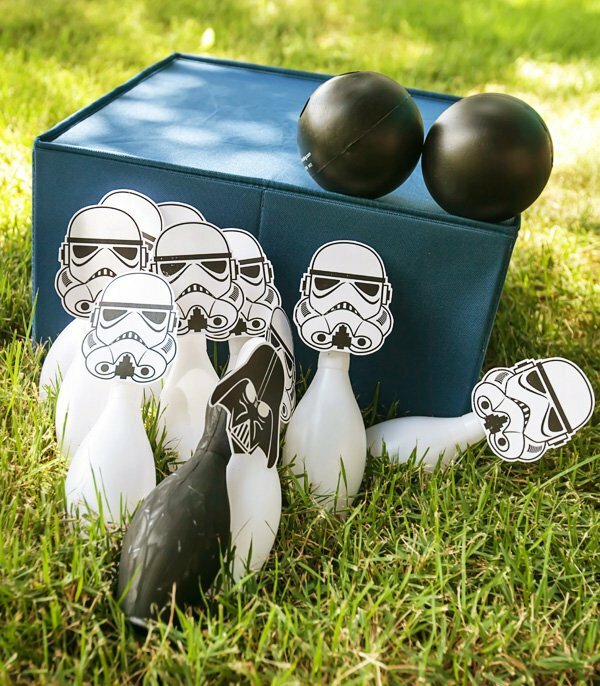 Storm Trooper Bowling – Tape Storm Trooper faces to bowling pins and have kids try to knock them down. Instructions and 7 other fun game ideas here! Astroid Hunt – Take a traditional Easter Egg hunt to another galaxy with a Star Wars inspired astroid hunt. Full instructions here. Feed the Sarlacc – Kids get the chance to feed a Sarlacc in this silly game! 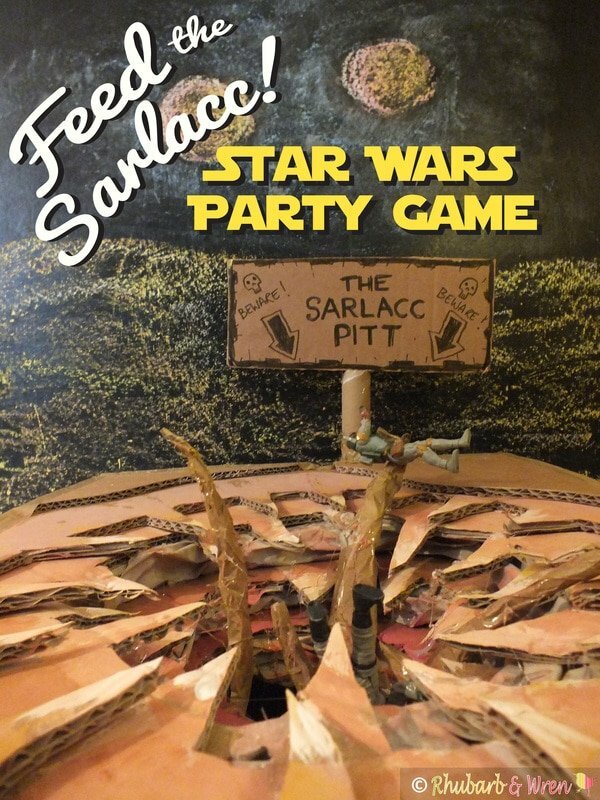 Get full instructions on making your own cardboard Sarlacc here. 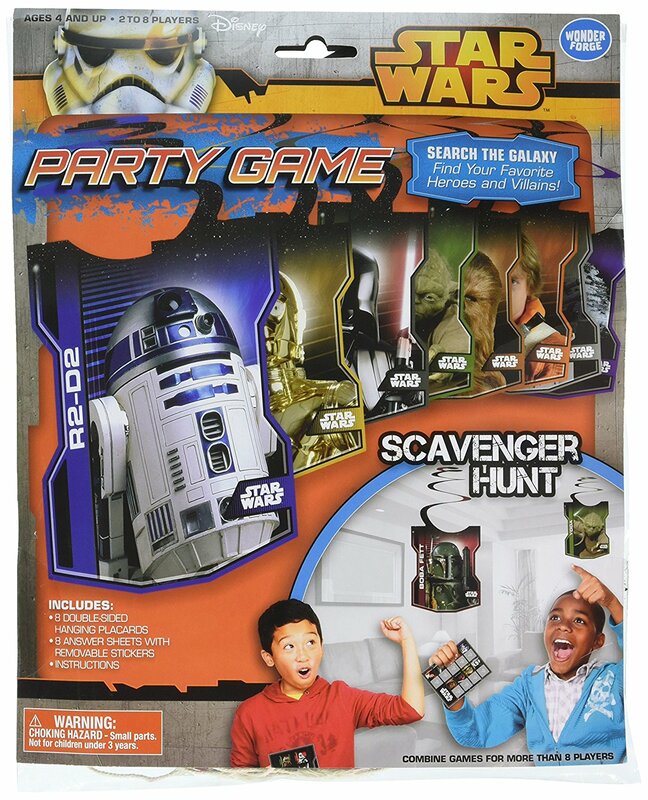 Star Wars Scavenger Hunt – Send kids chasing around the house looking for Star Wars characters hidden around the house. Get the games and everything you need to play here. 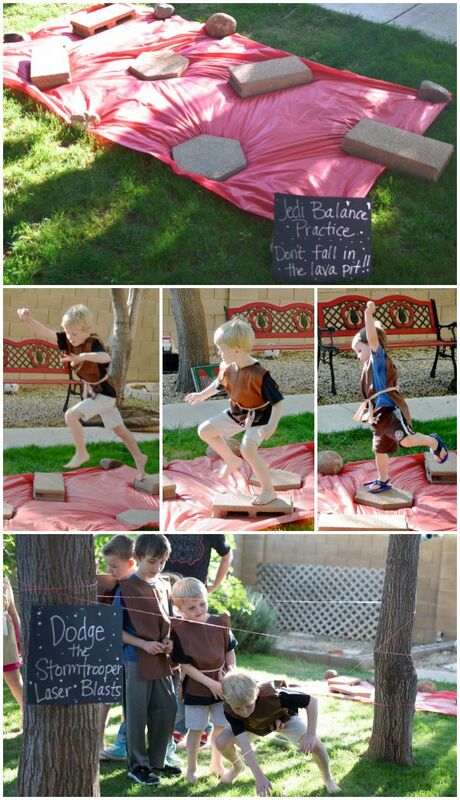 Star Wars Obstacle Course – Set up an obstacle course for a little Jedi training in your backyard or another large space! Get obstacle ideas and full instructions here. 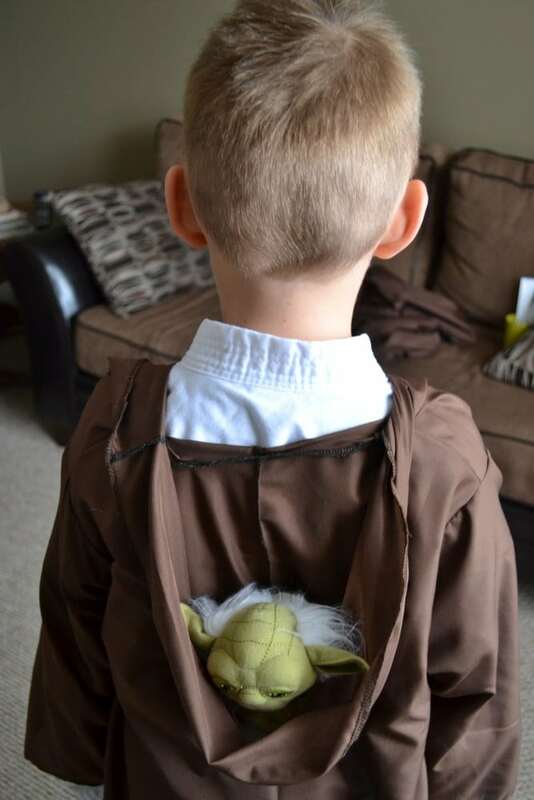 Don’t Drop Yoda – Give your kids silly tasks to do while trying their best to not drop Yoda. Silly task ideas and instructions here! Balance out the crazy active games with a few quieter ones where kids can sit, create, or play some sort of printable game. You can thank me later! Star Wars Bingo – Who doesn’t love bingo? Even better when it’s a Star Wars themed bingo! Get the printables here. 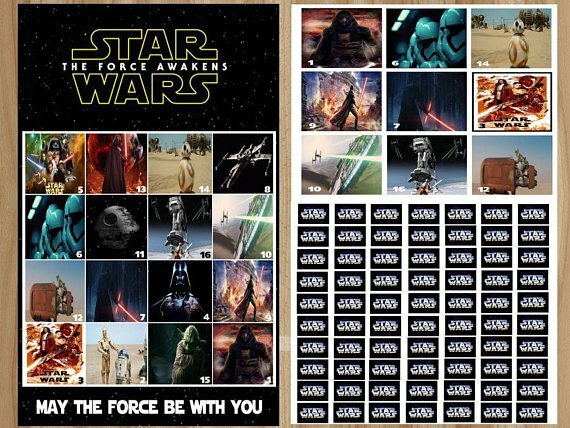 Or skip the regular version and try out this Star Wars Lego inspired bingo instead! And don’t forget to pick up a few of these cute Star Wars characters as prizes! Rescue Hans Solo – This clever science experiment could easily become a party game! 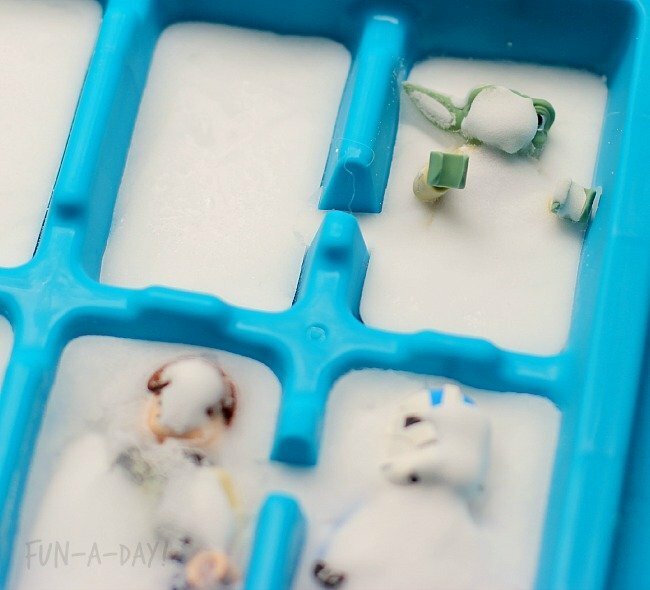 Kids have to use science to rescue little Star Wars mini figures from an ice cube tray. Get all the details here. 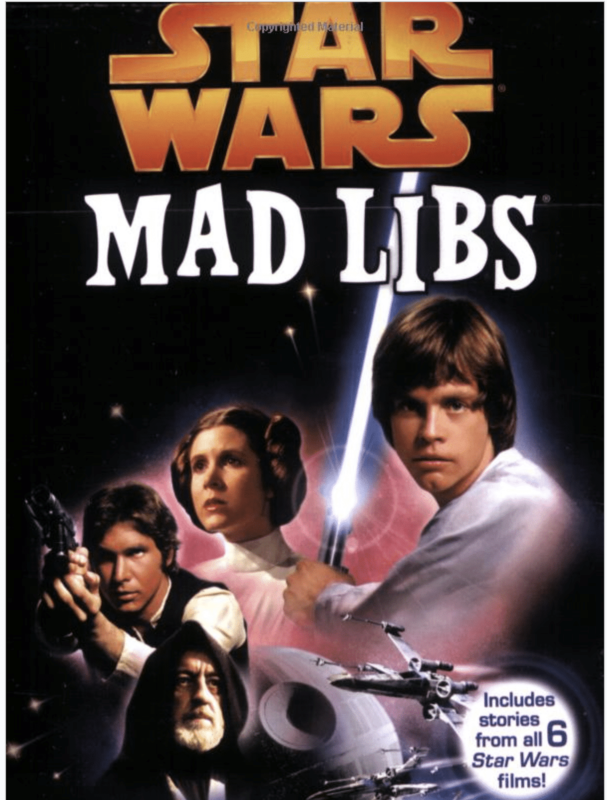 Star Wars Mad Libs – See what kind of silly Star Wars stories you can come up with in this fun Mad Libs game. Get it here. Build R2D2 – This is another good one when you need a little break. 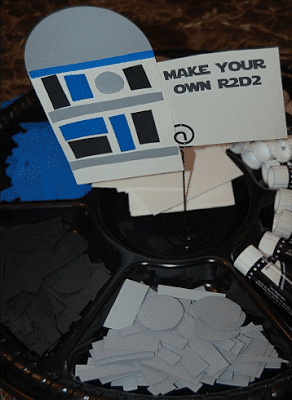 Put out all of the pieces necessary to create paper R2D2s (the Cricut Maker would be amazing for all that cutting!!!). Full instructions and details here. 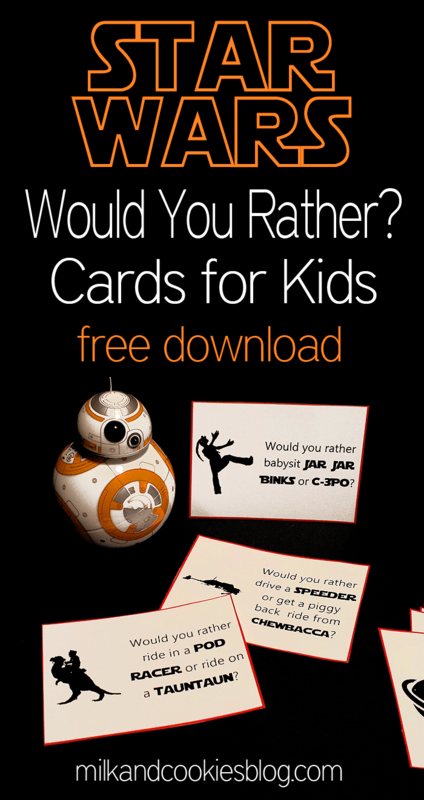 Would You Rather Star Wars Edition – If you need a little break from all the Jedi training, have the kids answer some of these fun would you rather questions? Get the printable cards here. 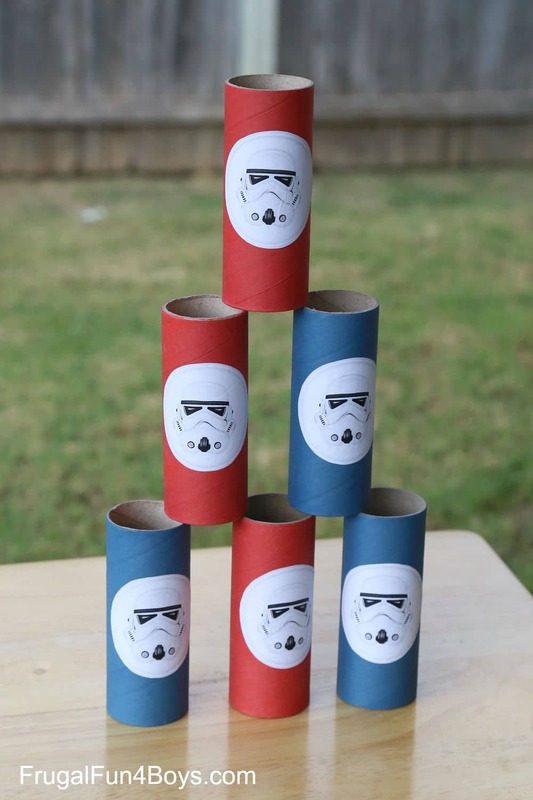 Don’t forget to pin these Star Wars party games for later!